Showcase your coastal style with the Cayman Mini Set - Twin. 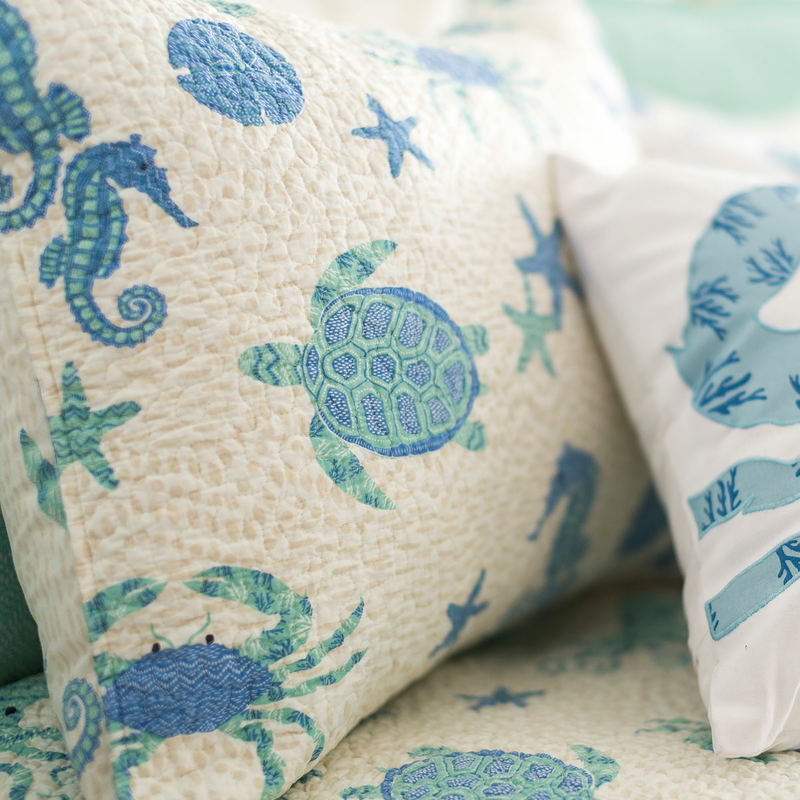 These coastal bedding sets are designed with a delightful sea life pattern in shades of blue, aqua, and white. Ships from the manufacturer. Allow 1 to 2 weeks. Cannot express ship. 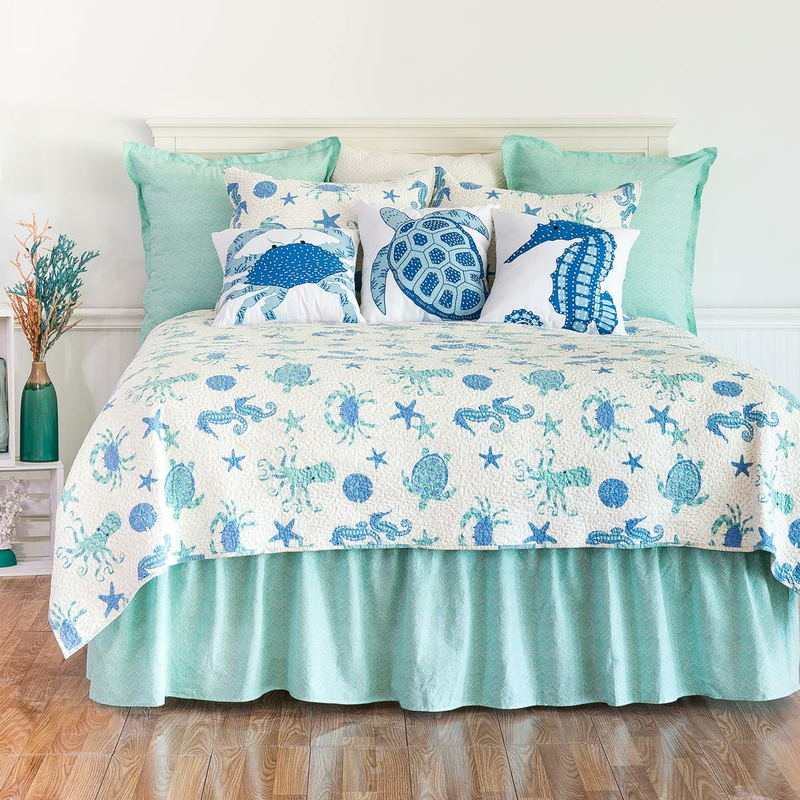 For more options, we ask you to take a moment to check out our thorough range of coastal bed sets at Bella Coastal Decor today.